Persian Wedding at Le Blanc Spa Resort Cancun Mexico | This ceremony on the rooftop of the resort was timed perfectly for sunset. 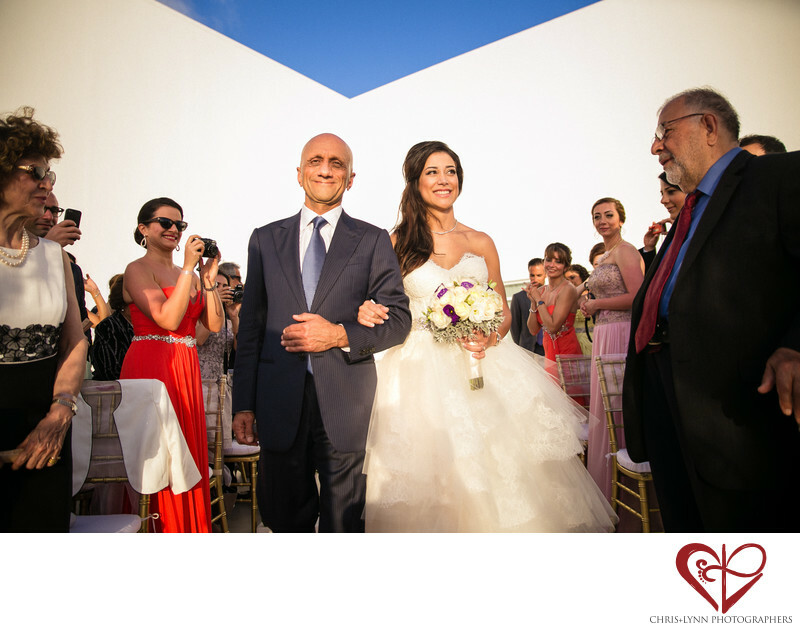 Lovely father and daughter moment as they walk down the aisle. 1/1250; f/2.8; ISO 200; 24.0 mm.